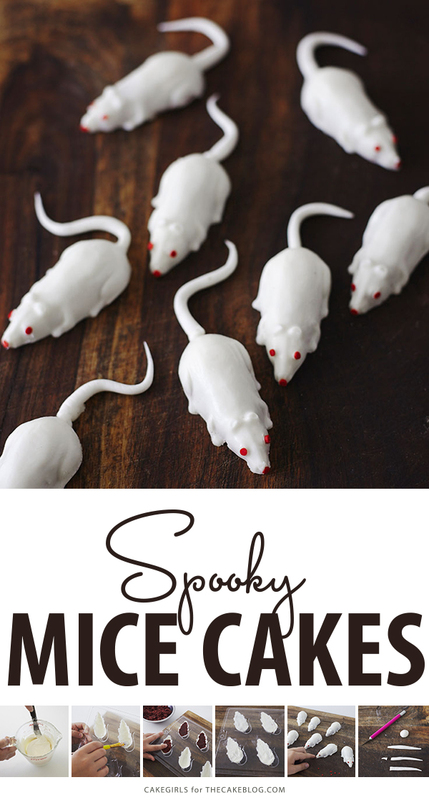 Creepy Mice Cakes! 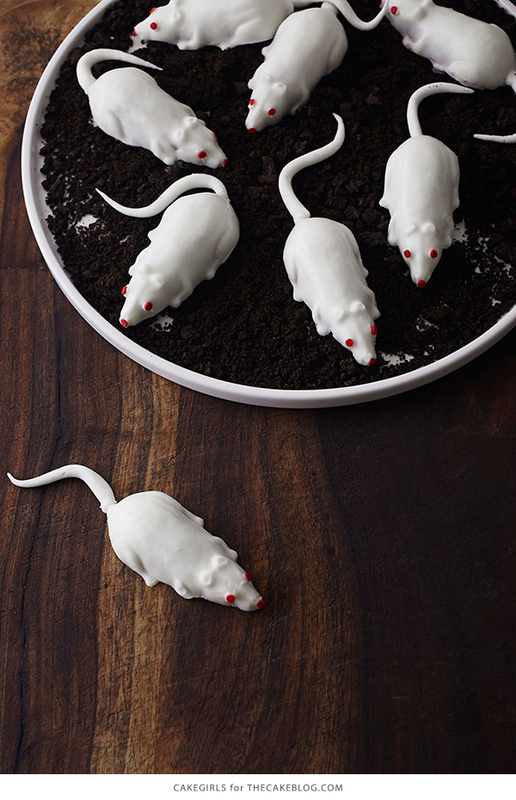 Learn how to make these spooky, red velvet filled, mice cakes — a Halloween food sure to freak out your party guests! By our contributors, Mary and Brenda Maher of Cakegirls. Besides dressing to the nines, one of the many exciting things about Halloween is having that rare opportunity to give people the chills when they’re perusing the party table for treats and snacks. Breadsticks shaped like human fingers…check! Eyeballs floating in the punch bowl…check! 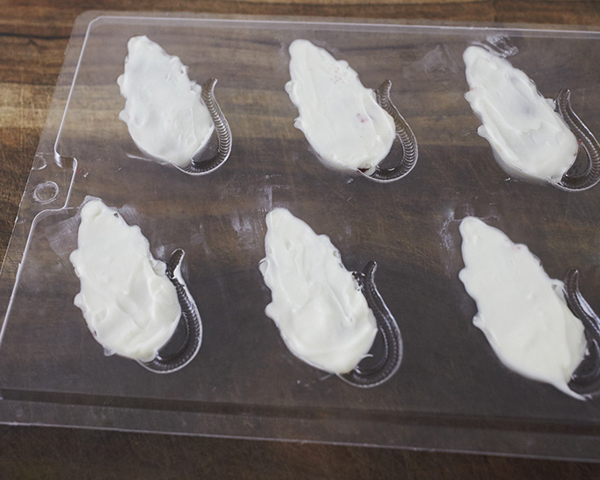 Oozing brain jello molds…check! 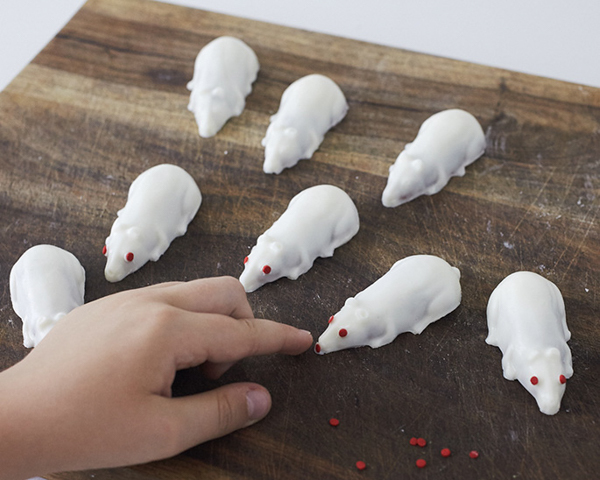 Well, mini mice cakes are the perfect trompe l’oeil treat to send shivers down your friends’ spines and make the kiddies say EEK! This project is really easy and fun to make. 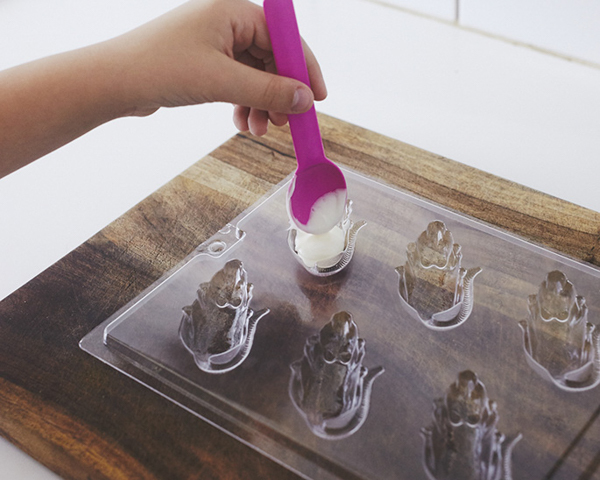 Starting with a mice shaped mold helps make these mini cakes fool proof. 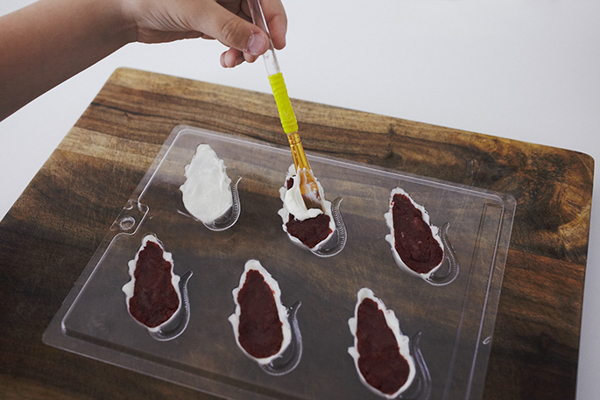 Filling them with red velvet only makes the whole affair more gruesome…yet somehow more delicious. 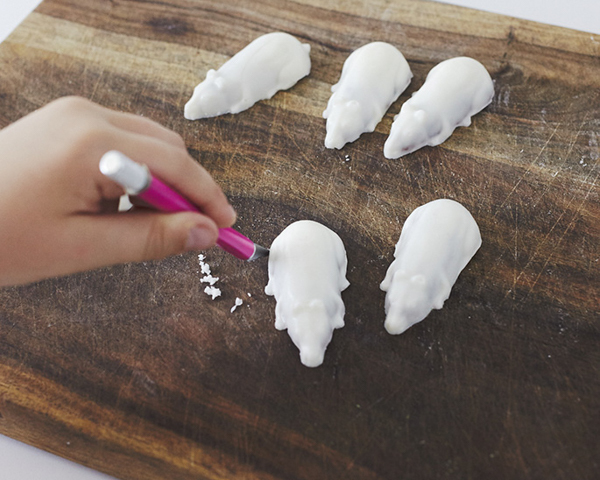 Instead of using the prefab tail from the mold, we opted for fondant tails so that each mouse could take on a life of it’s own and leave some room for creativity. 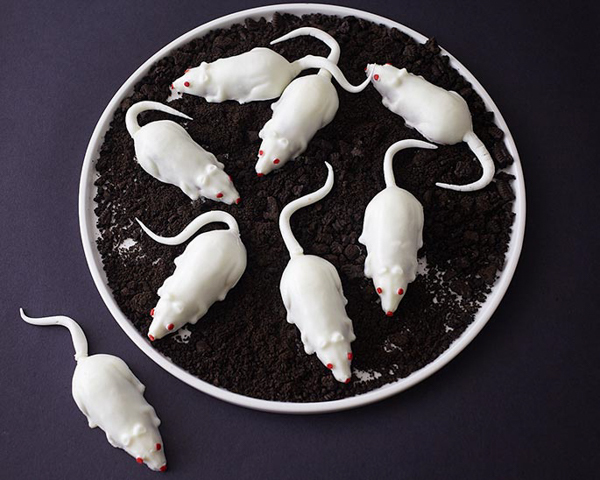 This DIY dessert will leave your guests doubting whether that tray of scurrying mice is the real deal or just a mini mice cake infestation. Start by placing some of the white candy coating in a heat proof cup or bowl. Heat on half power in the microwave, removing to stir every 30 seconds until thoroughly melted. Do not overheat the coating or it could burn, so keep a close eye on it! 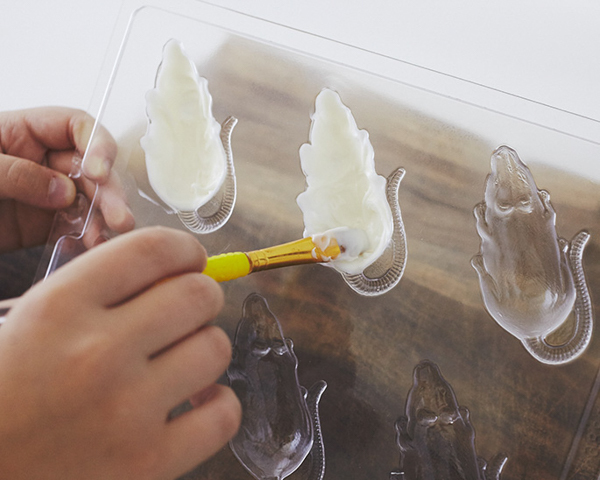 Drop a teaspoon or so of the melted coating into a mouse mold cavity and then use your paintbrush to dab and spread the coating up the sides of the mold to create a shell, making sure to fill the details of the feet. Do not fill the mouse’s tail. You want the shell to be sturdy enough to hold the cake filling so don’t paint the layer too thin. Once the shell hardens, you can go back and dab coating in any thin spots. Your shell should be about 1/8″ thick. 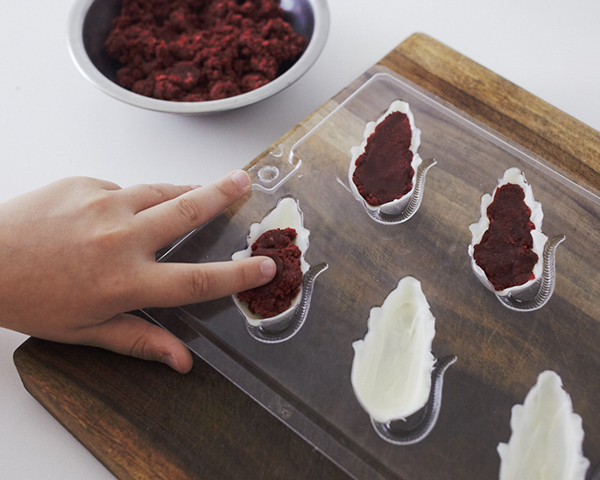 Place the entire mold in the fridge for 5 minutes to harden. Once the shells have hardened, push a tablespoon or so of red velvet cake pop filling into each cavity. Leave a gap so that you have room to seal the mold. Scoop and brush some additional coating on the back of each mouse to seal the mold. Place the entire mold in the freezer for 10 minutes until very firm. 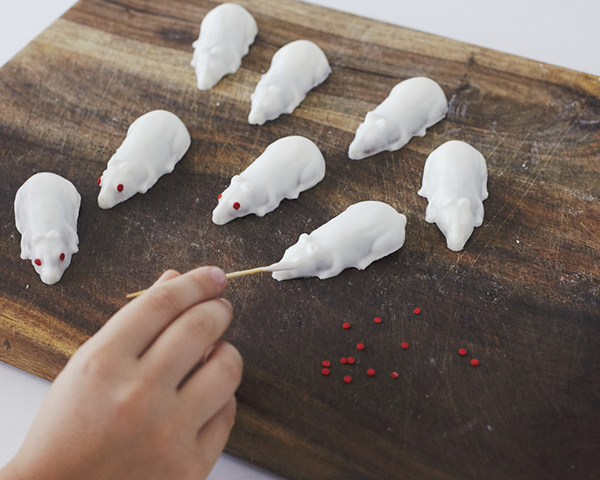 Pop the mice out onto a cutting surface and let them come back to room temperature. 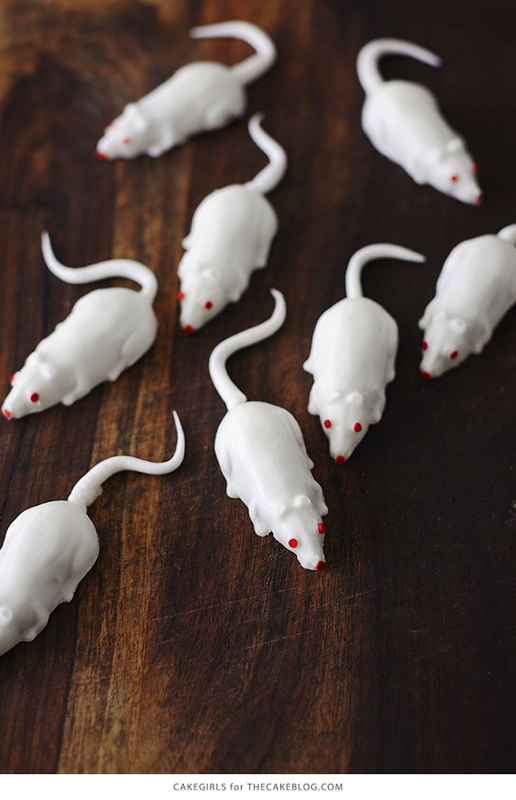 If you feel like the edges of the mice are messy or need to be cleaned up a bit, use a craft knife or paring knife to trim off any hanging coating. Pour out the primary confettiquin sprinkles and separate out a handful of red confetti. Use a toothpick to add a dab of coating on each eye and nose and attach a red confetti. Now, the mice are ready for some tails! 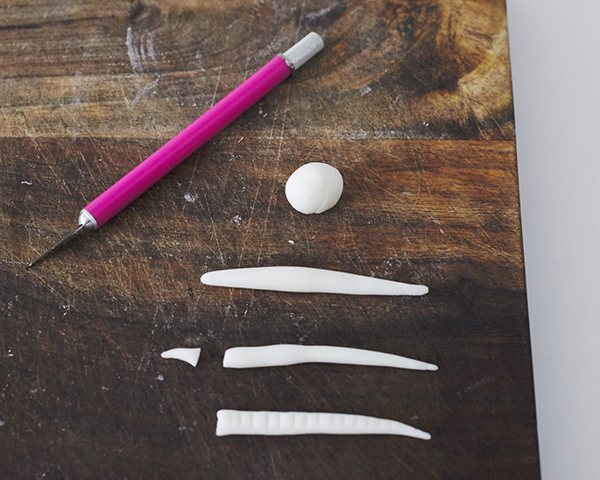 Roll a pea sized piece of white fondant into a thin rope and taper it at one end. Cut the other end blunt so it can be attached to the back of the mouse. Dip the blunt end of the tail in some melted coating and then attach it to the back of each mouse. Make sure to curl each tail a different way so that every mouse looks a little bit different. Let the tails dry for a bit and then the mice can be transferred to a serving tray if desired. Very cute! I hate to be a stickler about it but, that is a rat mold! I have a rat as a pet and I can tell from the ridges on the tail and the length of the snout. I’ll be making some to look just like my buddy, with gray spots! I’m sure he’ll snag one. The kids will love em’! What a fun project. 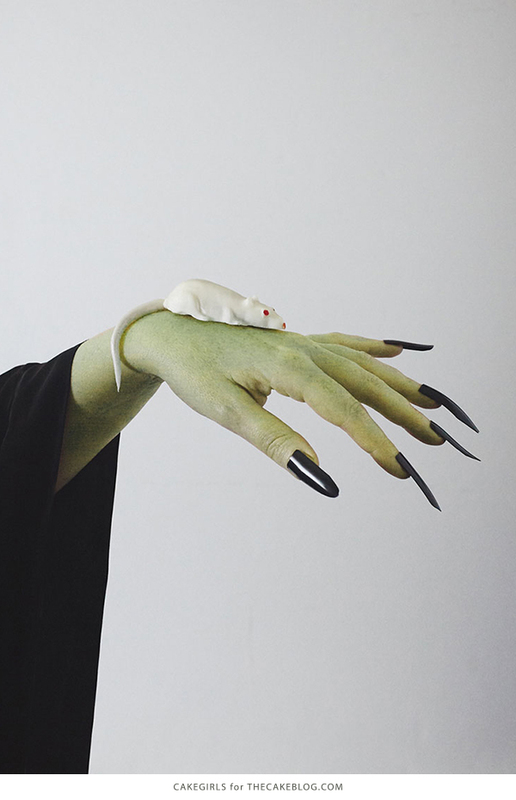 Mouse or rat, all make for a fun Halloween! I came across this on pinterest and LOVE it! I have always sucked at cake pops because getting them to stay on sticks is hard and they look too messy when I make them just as balls, not on sticks. Lol. I don’t have a rat mold but have a brain and eyeball mold that I will likely use this same idea for. I can’t wait! Used your molds and directions. Just finished making 24 for the neighborhood party. Not quite as pretty as yours….but can’t wait to see their faces when they bite into them. Where can I find a mold? I love this idea!! There’s a link for the mold in the supply list above. It came from Cakegirls! How far in advance do you recommend making them for? For example I have a party of Friday and Sunday would I be able to make them as early has Tuesday? Is cake pop filling different than plan cake? Yes, but it’s just cake and frosting mixed together. Bake your cake, let it cool, then crumble into a large bowl. 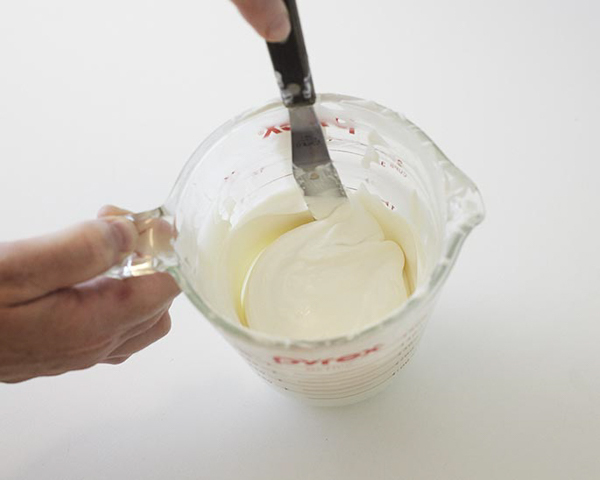 Use a spoon to mix in your choice of frosting until the mixture is moist enough to roll into a ball and hold its shape. Hope that helps! So do you bake your cake as usual, then add one container of cream cheese frosting to the mix, if not very moist do you keep adding frosting into mixture? Yes, bake your cake as usual. Let it cool. Then crumble the cake into a large bowl. Stir frosting into the crumbled cake. You can add as little or as much frosting as you want – just make sure it’s moist enough to hold it’s shape if you try to roll it into a ball or clump it in your hand. Hope that makes sense. Génial, dommage que ce moule n’existe pas en France. I want to make 24 to bring as birthday treats for my sons class. How much cake pop batter would I need? I’m planning on using a box cake mix and cream cheese frosting so am wondering how many cake boxes I’d need? Thank you in advance!